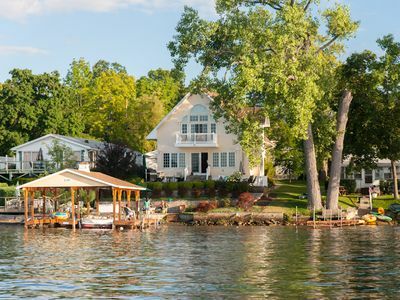 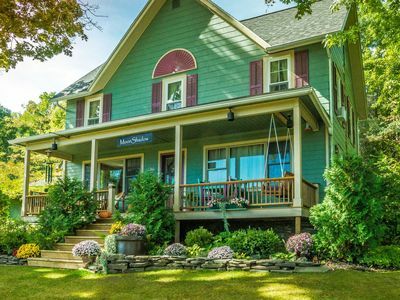 This cozy and charming cottage is the perfect lakeside retreat. 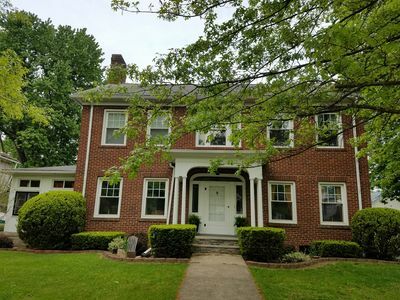 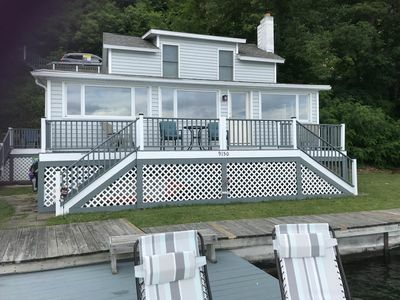 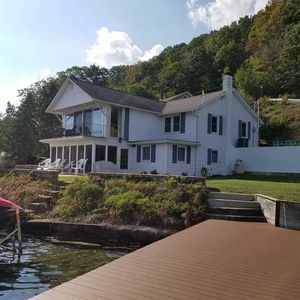 It's right on the lake, has a gentle slope to the water with a beautiful view, and is located approximately 7 miles North of Hammondsport on the East side of Keuka Lake, near the town of Wayne. 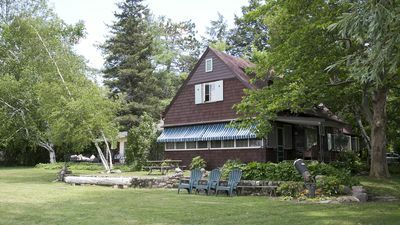 The cottage is in a quiet area, about ¼ mile off of the main road (Hwy 54). 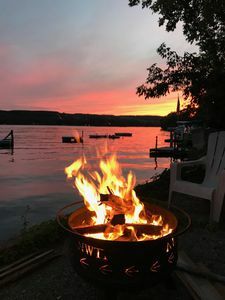 Finger Lakes Brick Colonial - Kayaks and Wine Tours and Bikes, Oh My! 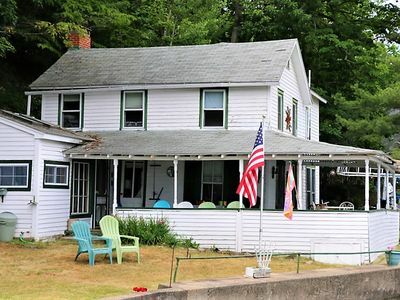 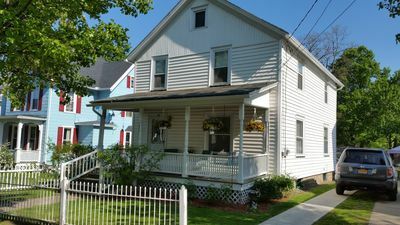 Adorable Village Home; Steps From The Lake! 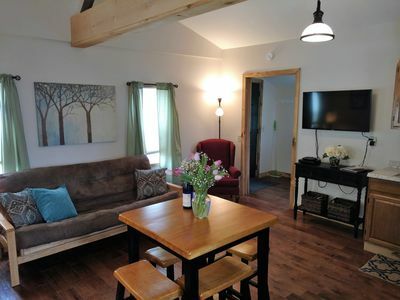 A lovely one bedroom in the village! 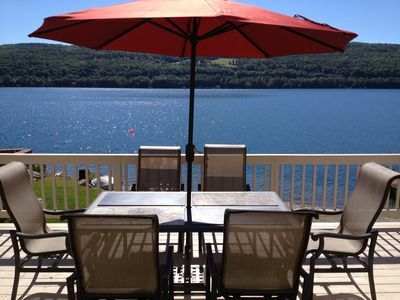 Wine to Water - Family Adventure on Keuka Lake Awaits! 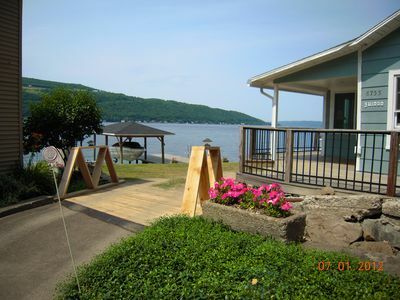 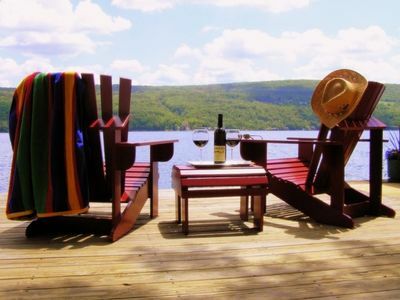 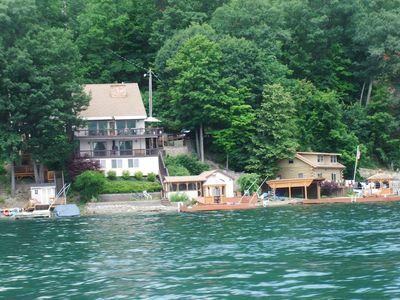 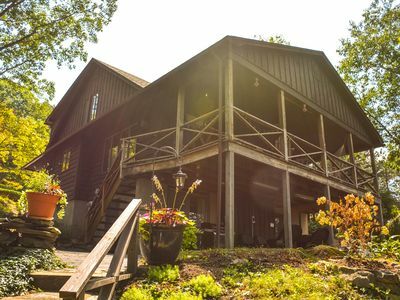 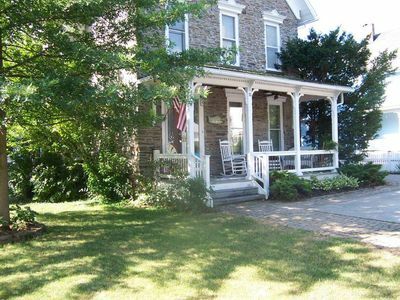 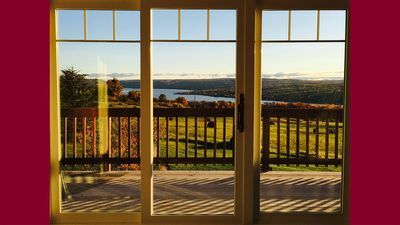 Upscale Lakefront Cottage in Finger Lakes <5 min to Wineries and Hammondsport! 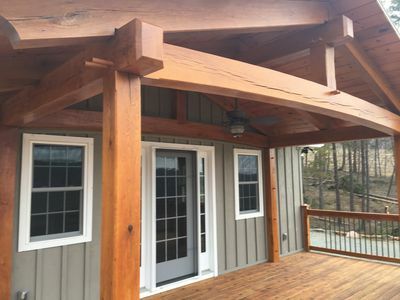 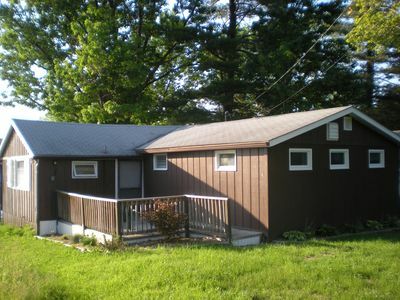 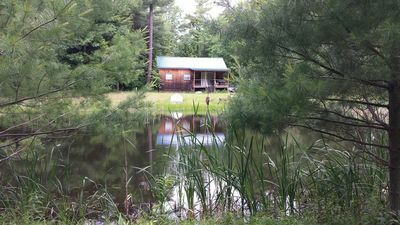 Hickory Cabin at Waneta Lake – family and pet friendly cabin 1 block from lake. 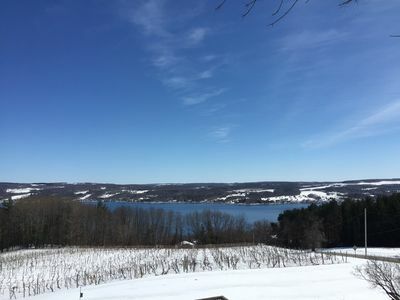 Lakeview Crossing Overlooking Keuka Lake In Beautiful Upstate New York.